Do you want the most inexpensive prices for all cartridges? For incredible discounted prices, and much more, get all your inks at Cartridge Save, the number one supplier in the UK. Cartridge Save specialise in the supply of only the cheapest Lexmark X5250 cartridges whilst guaranteeing you receive our fast website. You can stop wasting time thinking about who has the cheapest deals, all the best deals are right on our website. So start saving time and cash, buy with Cartridge Save! You'll have comprehensive peace of mind if you purchase from us because of the rock-solid refund scheme, which is standard. So if you encounter troubles with your ink cartridge after buying you can just easily send it back to us for a 100% money back. Don't forget that we provide absolutely free next day delivery for each and every Lexmark printer cartridge. At this time of mounting costs, it would be daft of you pass on effortless bargains! This compact printer combines a standard printer with a quality scanner and an efficient copier. Though it is a budget-friendly choice, the Lexmark X5250 is not powerful enough for offices that require a speedy photo printer. The input tray's capacity is 100 sheets. The control panel is intuitive and features a small display screen. 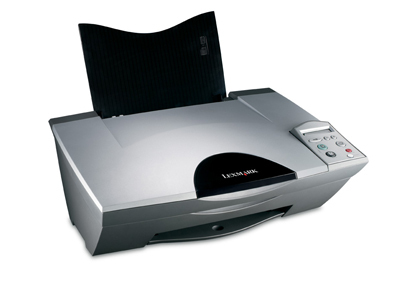 There is a flatbed scanner on top of the Lexmark X5250; it also functions as the copier. The Lexmark X5250 is rather lightweight at 4.5 Kilograms, and somewhat compact at 161mm tall, 319mm deep, and 441mm wide. The printer is fairly quiet, producing only 49 dBA of sound when operating. Its 3,000-page monthly due cycle makes it suitable for average use. The Lexmark X5250's photo quality is excellent, and document print speed is relatively fast. The package comes with a USB cable, so you don't have to pay extra. Users can also produce copies fast, and borderless printing is supported. The Lexmark X5250 could have been much better as an all-in-one device for the office if it had its own fax modem. The lack of an automatic document feeder can affect productivity, and print speeds for pictures are not that impressive. The Lexmark X5250 also lacks direct-printing features and network-friendly capabilities.